Enjoy a night out at Blue Bar Lounge. See our schedule for Jazz and Blues. The Henley Park Hotel is a unique location for both business and social events. We offer various private dining options for your special occasion. 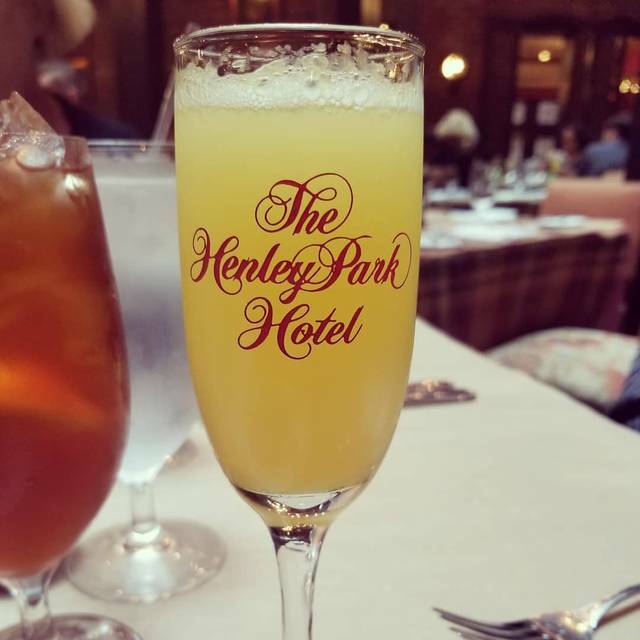 The Henley Park Hotel welcomes you to The Tavern at the Henley Park (Formerly known as Coeur De Lion), a favorite among the DC locals. This restaurant is adorned with a stunning skylight atrium, ornate chandeliers, and a natural brick face. Our Chef offers a diverse New American menu featuring the freshest regional ingredients. For a less formal atmosphere we offer a light Small Plates menu in the Blue Bar. We also offer a Formal and Royal Tea, served in our beautiful Wilkes Room by the fireplace, or, in any of our luxurious private suites. Join us for Mother's Day Brunch on May 12 from 10:30am to 4:30pm. 3 course menu for $50. Loved the place! Very old world charming. The food was fantastic and the service was spectacular! Will be going back. Great tea for a great price! As someone who wasn't able to pay for some of the more upscale tea offerings in DC, this was an awesome option. I felt it was a great value for the price. It was extremely quiet and our waiter was attentive, but not pushing us out quickly. Scones were the best. service and waiter were great, kitchen response time was not good and beer and wine prices were the highest we have seen in DC and we have lived here for 40+ years. A comfortable space for a dinner center conversation with good food and wine. The Henley Park is one of my go to places for afternoon tea. They have a few seating areas in the front in a small living room -- these are particular nice for a leisurely afternoon of tea, snacks and conversation. The service is great and food is quite nice. 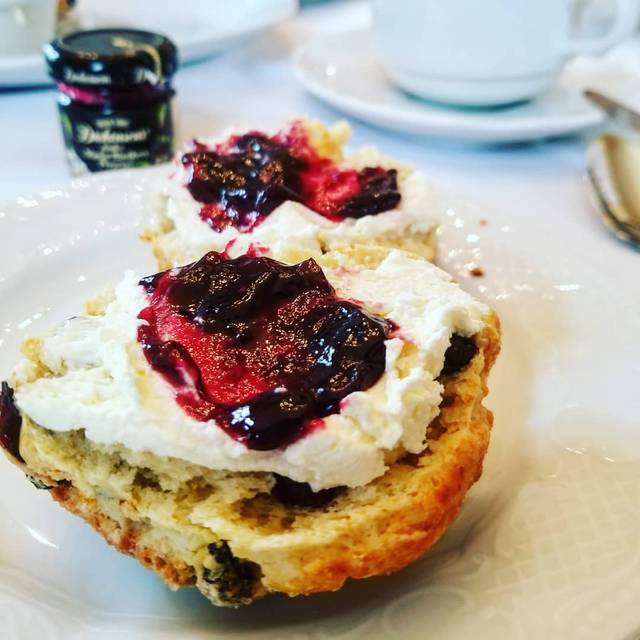 The scones in particular, were very fresh during our most recent visit. 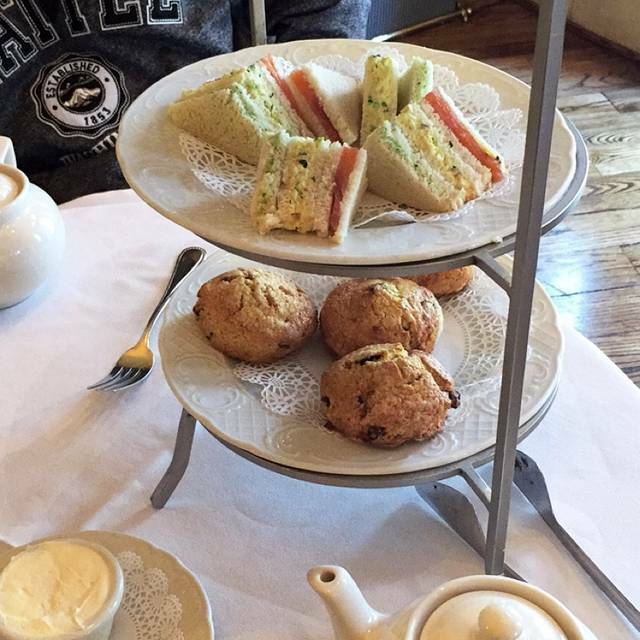 I treated my daughter and her best friend to Afternoon Tea and they loved every morsel. A wonderful experience for each of us. The tea (the liquid itself) was lackluster - limited selections, nothing special. The service was truly terrible, and good service at high tea is essential. We were a party of 4 placed behind a big pillar - maybe our position was out of sight out of mind, but the waiter was grumpy when he did come. The location is in the Tavern itself and it would be so much nicer in a brighter, open place, like a parlor. 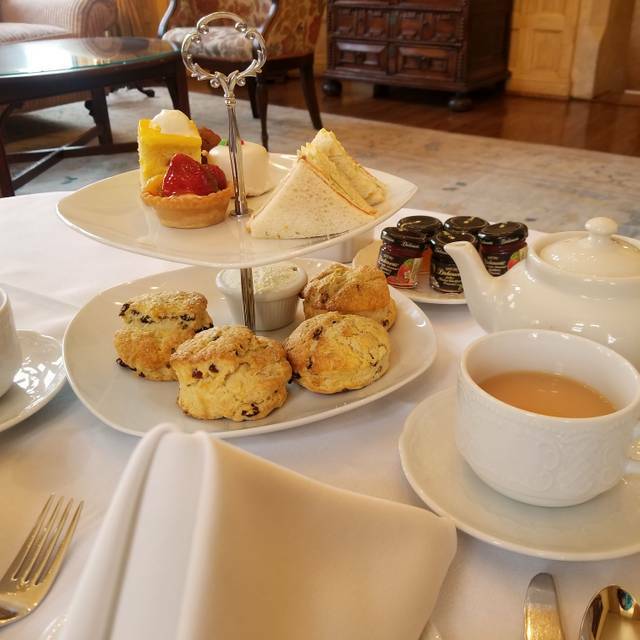 The food was of very high quality but limited (for the top-priced tea: 3 kinds of tiny tea sandwiches, a tiny fruit tart, a tiny piece of lemon cake, and a scone. The scone was generously sized, I must admit, and you did get 2 scones. I took the second one home as a doggie bag.) I will recommend it and I will go back, since one visit is not enough to judge a place, and it was very nicely priced for High Tea. Although the food was good, the service was deplorable. If it was busy, I could understand, but it wasn't. Do yourself a favor and go elsewhere for a champagne brunch. Great crab cakes in a great setting, but the poor waitress was overwhelmed. We sat 1/2 hr before she took our order. We had to ask for bread, we were so hungry. After the waiter learned that we weren’t ordering drinks, he abandoned us. The person who seated us did so at a table in a hallway and after 10 minutes, during which time we saw no one, I went back and told him we needed to be moved. He told us the room where they serve tea was full (I’d made my reservation at least 2 weeks earlier) so I went back to our lonely table in the hallway. A few minutes later, we were told we could be seated in the dining room, whereupon things improved. The scones were definitely the high point and for those, I’d return. Sandwiches were OK. Sugar and jam should have been served in appropriate bowls with spoons, and the éclairs did not taste freshly made. Afternoon tea was a delight! Delicious scones! While the cozy atmosphere was charming and the food excellent, our experience was marred after we ordered a $145 bottle of wine and it was allegedly opened out of our presence and delivered to our table in two glasses. When we explained that we ordered a bottle we were assured that they understood and the already opened bottle was delivered. The volume missing from the bottle appeared to be more than what was in the glasses. The server presented this all as if it were normal. We declined to accept the “bottle”. Eventually an unopened bottle was located some time later. Very distressing. 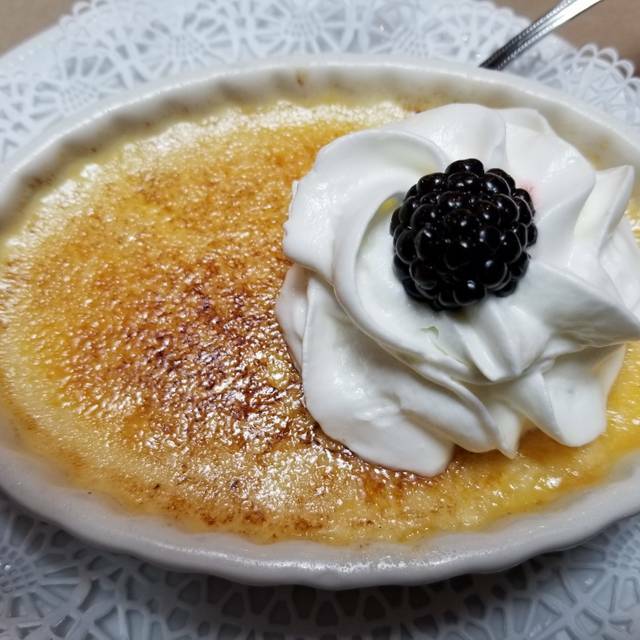 The Tavern at the Henley Park is the perfect blend of attentive—but not intrusive—service, great cuisine, and elegant yet comfortable ambience—-and quiet. It is the best place for a special occasion or date night. We are regulars there. Our host and server Jamal is the best! Juan is a great bartender. Will be back soon. The service and food were very good, but the ambiance was tired and in need of updating. Our group of seven needed a break from the hectic Convention Center and we found the Tavern at the Henley Park hotel to be the perfect business lunch setting. Our staff was accommodating from the doorman to the bar manager and the seafood specials, salads and entrees were fresh and thoughtfully prepared. It was a lovely setting for a birthday celebration and the food & service were wonderful. The Tavern is beautiful. The ambiance and decor are elegant but comfortable. The food was superb. My wife and I both had salads (I the Caesar and she the arugula) with grilled salmon. We both commented that it was the best salmon we could remember having at a restaurant. The waiter also brought us the sauce that the chef was pairing with the salmon when ordered as an entree with sides. A truly wonderful dinner. Loved everything about it! Our waiter, Marius, was an absolute pro! Fun spot for tea with the right atmosphere. Love the tea tray with the sandwiches, scones, and pastries. Second visit for tea and this time, the scones were delicious. However, tea was supposed to include fresh berries with cream, which we received on our first visit, but did not receive this time. We also had more pastries on the first visit. That said, we would still go again. We booked on Open Table for a Christmas dinner. The food was exceptional, however, the service was very slow, despite the fact that not many people were there. I will attribute it to the fact that it was a holiday dinner and they may have been short-staffed. However, we mostly had to ask for our wait staff's attention. If their service were better, I would give the restaurant a hearty recommendation, because the food was that good. If you reserve, be sure to ask for the main dining room. I wouldn't be coming to this restaurant for more than 25 years if it wasn't special. Excellent food, excellent service in a historical setting that is quiet. My boyfriend and I were celebrating his new job as a software developer for Capital One banking. We were at a speakeasy around the corner of the restaurant and we decided to check it out. It was amazing and I’m so glad we took the chance. The food was absolutely delicious! I got the lamb and my boyfriend got steak. 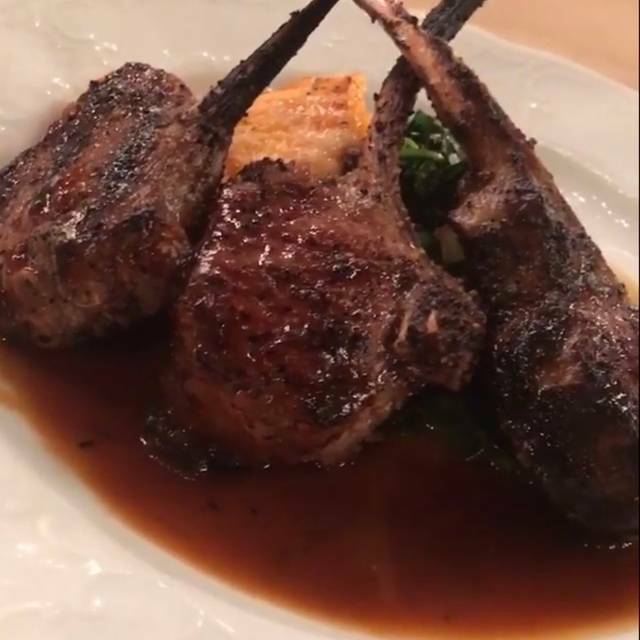 When he tasted a piece of my lamb he said “I could taste the innocence of the animal” LOL it was a great experience, Jamal, our server, was super nice and attentive to us. He was very personable and friendly. Fantastic little spot for a special occasion, a cozy afternoon, a romantic meal. The scones were very good! As a part of my Christmas holiday family tradition, I take my girls to High Tea. It was a disappointing experience. There were no festive decorations. We were not given the Christmas menu that was advertised on their website. We were seated in the lunch area instead of the normal tea serving area. I was told that a larger group had bumped my party of 5 out of the tea serving room. I had a second reservation for later that week with my girlfriends and canceled based on my earlier experience. For a real Christmas High Tea treat, I suggest folks go to the Willard. The Front desk seemed confused about valet parking and exactly where High Tea was. The waiters tried hard but disappeared for long periods of time. The sandwiches were fresh but very very tiny. Parties okay and the scones over baked. Tea selection limited. Ambiance was quiet and delightful. Lovely historic building. This was the perfect spot for a quiet lunch with old friends. It has gotten almost impossible to find a restaurant in DC where diners can hear each other. The decor is lovely. The food was delicious. French onion soup wasn’t in the menu that day but the chef prepared it specially for us. Great for a business lunch. Excellent service and quality food. Right across from the convention center. This is for the Afternoon tea service. The sandwiches were dry, the pastries store bought, tea is not loose leaf. The scones at least were freshly made and piping hot. So many other places to dine in DC. Overall, this is...okay. Dined here on a Tuesday evening. This restaurant is within a hotel- and this is definitely not a bad thing. But, what is bad is when there is no one to greet you. After 7 minutes, you find one server who doesn't acknowledge you until you get her attention and she says "be with you in a minute". Eventually, someone comes out. The bar has people, but the restaurant is empty. We order. My friend got the pasta special and I got the burger. I asked if there was bread for the table, our server said "yes, but your burger comes with bread already". I said "I know". The burger was good- which it better had been for me being carb-shamed. LOL My friend said her pasta was okay. We never got refills for water. Even though, at the time, we were the only ones there. Oh wait, a single person came in later. I usually love the places listed on Opentable, but this one was....meh. 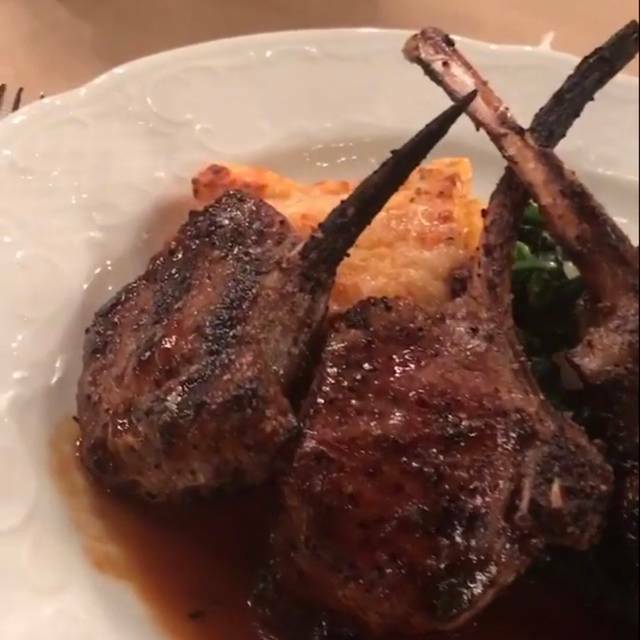 The food at diner was ok.The rack of lamb was delicious but for me a little too weldone. The snacks at the bar were wonderfull. Overall it was a lovely meal. We were a small group celebrating Thanksgiving. The only reason I did not give 5 stars for service was that our first waiter apparently left for the day toward the end of our meal. After his disappearance, there was a long delay before we received our decaf coffee orders. The restaurant was not crowded. I don’t think it would have been a problem for the waiter to mention he was leaving. I left a reasonable tip but would have left more had the transition been handled more smoothly. Seems like most of the customers were business people on the Wed night we were there. The happy hour drinks were generous and the dinners tasty. They altered an entre to make it vegetarian for me. That was nice. My husband had the seafood platter. He enjoyed it very much. We were staying there so it was a relaxing dinner. We had a very nice lunch of soup and salad. The restaurant is located in a 100 year old hotel. It has the feel of old world class. I made reservation for lunch. However, the waitress seemed to think we were there only for tea. I had to ask for a lunch menu. The food was great. Very quiet which was perfect as this was a business lunch. Did not see a waiter often enough. Overall good experience.